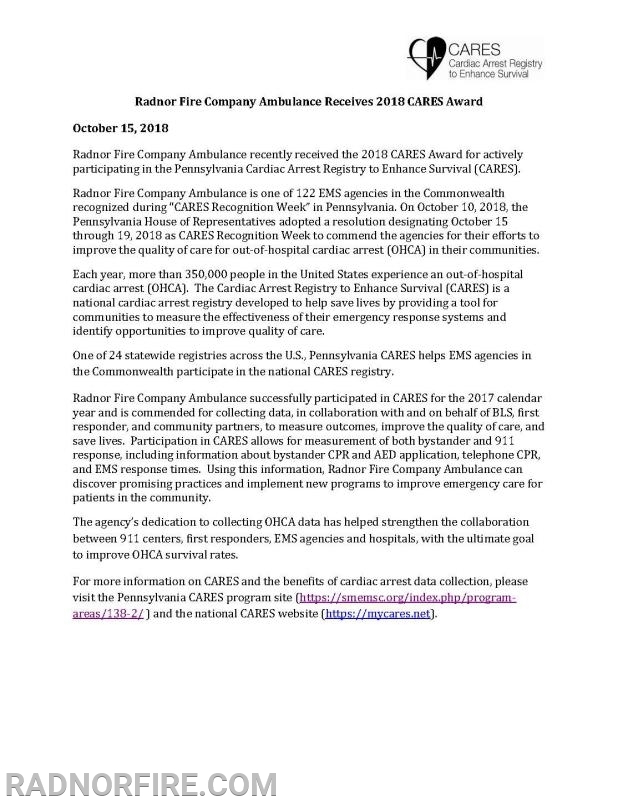 Radnor Fire Company Ambulance recently received the 2018 CARES Award for actively participating in the Pennsylvania Cardiac Arrest Registry to Enhance Survival (CARES). Radnor Fire Company Ambulance is one of 122 EMS agencies in the Commonwealth recognized during “CARES Recognition Week” in Pennsylvania. On October 10, 2018, the Pennsylvania House of Representatives adopted a resolution designating October 15 through 19, 2018 as CARES Recognition Week to commend the agencies for their efforts to improve the quality of care for out-of-hospital cardiac arrest (OHCA) in their communities. 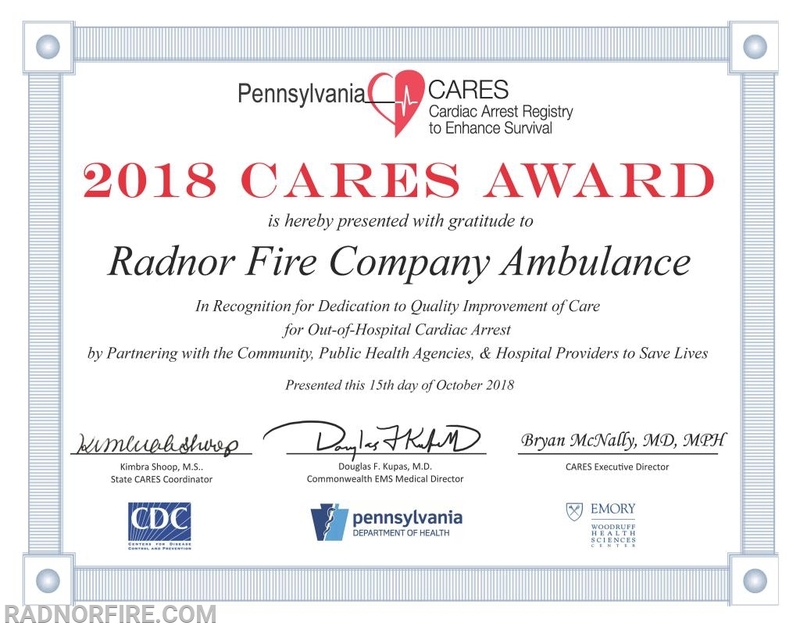 Radnor Fire Company Ambulance successfully participated in CARES for the 2017 calendar year and is commended for collecting data, in collaboration with and on behalf of BLS, first responder, and community partners, to measure outcomes, improve the quality of care, and save lives. 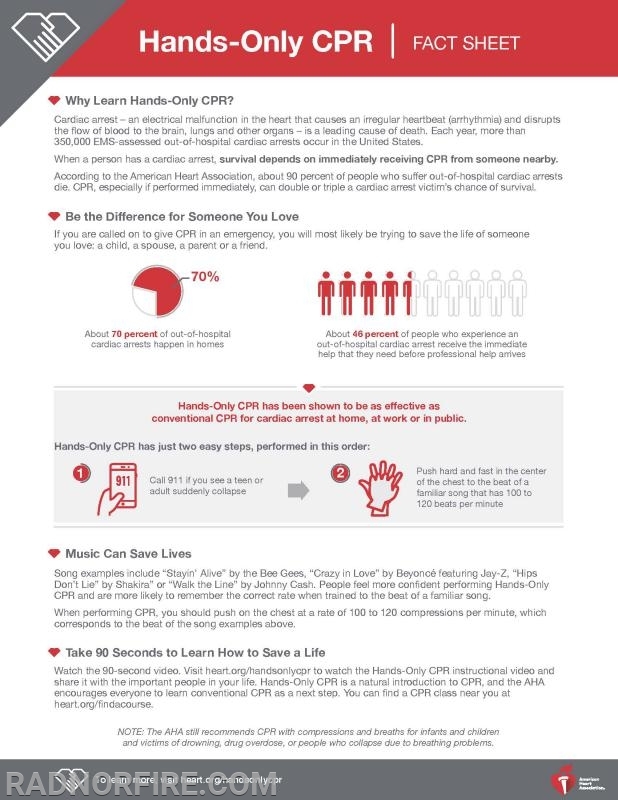 Participation in CARES allows for measurement of both bystander and 911 response, including information about bystander CPR and AED application, telephone CPR, and EMS response times. Using this information, Radnor Fire Company Ambulance can discover promising practices and implement new programs to improve emergency care for patients in the community. Early CPR is crucial in the survival of the cardiac arrest patient. 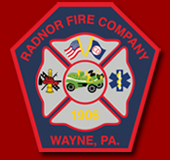 Radnor Fire Company Ambulance offers numerous different CPR classes including a Hands-Only CPR course which is free of charge. For more information on any CPR course, fill out the CPR/AED Training Request Form under the Public Info tab on the Radnor Fire Company website.